You love your home, you love your neighborhood, but you’re running out of space. Whether you need a new master suite, in-law suite, home office, family gathering space — we can help. Designed to harmonize with the rest of your home, inside and out, we’ll build a new addition or revamp your basement so your home keeps up with your life. 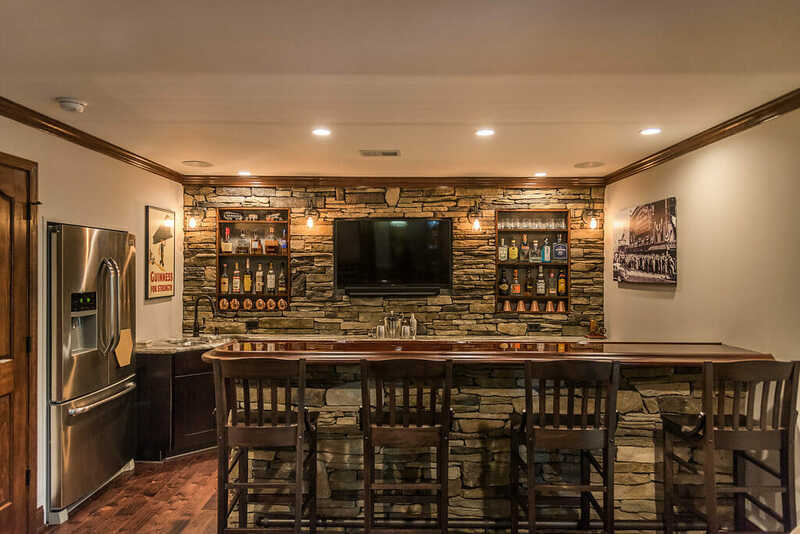 A once-plain basement gets turned into a stylish entertaining space complete with pub, game room, home theater, and full bath.